Xiaomi latest tech product won’t have Apple fans baying and cursing about patents. That’s because it is an air purifier. If you live in Beijing or other parts of China/Asia/the world that have major pollution problems, then Xiaomi wants to have you (and your lungs) covered. As purifiers go it looks pretty sleek. 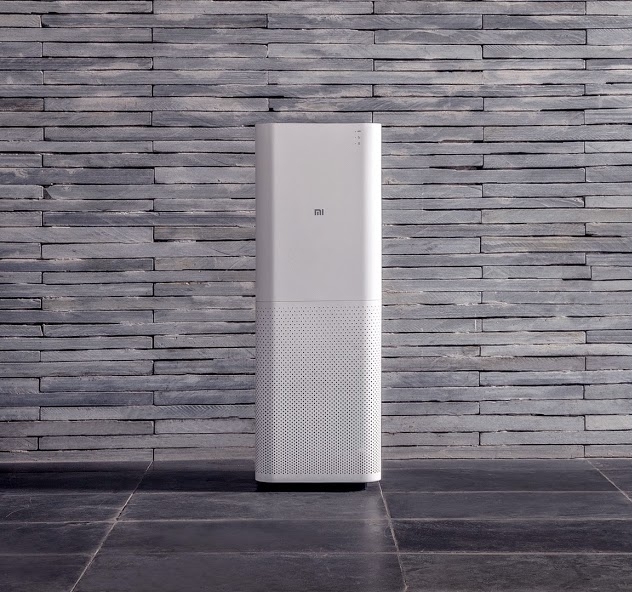 Xiaomi says the dual fan and four air duct system can produce 10,000 liters of clean air per minute, while it can filter out 99.99 percent of the dangerous PM2.5 air particles. As you’d expect, it comes with an accompanying remote control app which also sends alerts to your phone. For example, it will remind you when a replacement filter (199 RMB / US$32) is needed. Smartphones are what Xiaomi is best known for, it is the third largest in the world based on shipment numbers, but the company has a growing line of other products too. In addition to this air purifier, it offers $20 routers, a blood pressure measurement kit, a smart TV, a tablet device, battery packs, and a fitness band among others tech gizmos. It seems likely we’ll be able to add ‘smartwatch’ to that list too, sometime soon. That expansion is no coincidence or mere dalliance. The company is very much out to diversify its product range and reuse its business formula in other areas. Our partner site Technode reported recently that Xiaomi wants to mimic its success with its Mi smartphones with other hardware. It has already invested and partnered with a range of companies — including U.S. hardware startup Misfit most recently — and it reportedly has the funding and interest to pursue other strategic investments and acquisitions outside of smartphones. So, Xiaomi is like Apple? Or Amazon? Or perhaps someone else…? Xiaomi: "We're not like Apple, we're like Amazon!"